The biggest weekend in golf is just around the corner as the first round of the Masters begins on Thursday. Although Tiger Woods won't be participating, the field is stacked with the world's best golfers like Dustin Johnson, Jason Day, Jordan Spieth, and Rory McIlroy. There are also some awesome stories as always, like Canadian Adam Hadwin, who punched his ticket to the Masters earlier this year. Adam Hadwin (-14) captures his first career PGA title, holding off Patrick Cantlay to win the Valspar Championship. 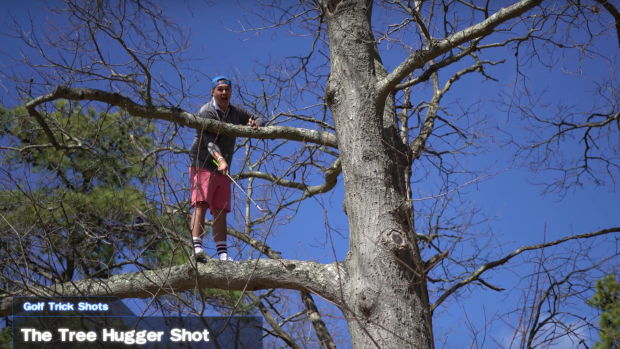 While you won't see these trick shots on the course at the Masters, there will still be plenty of incredible things that happen at August over the weekend. Be sure to tune in to TSN for Masters coverage all week long.